Sensor-laden body armour, a smart watch that monitors life signs and smart glasses with integrated cameras are all part of a futuristic design for military uniforms, were unveiled in September. 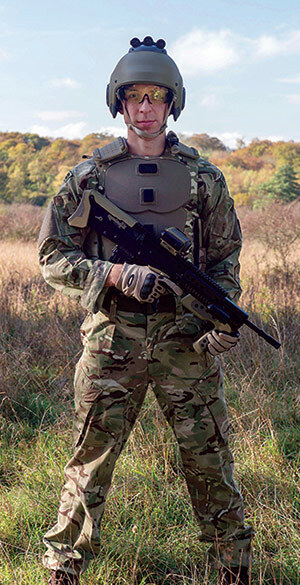 The Future Soldier Vision (FSV) is part of the Ministry of Defence’s plan to ensure that British soldiers of the future have high quality equipment, utilising the latest technologies. 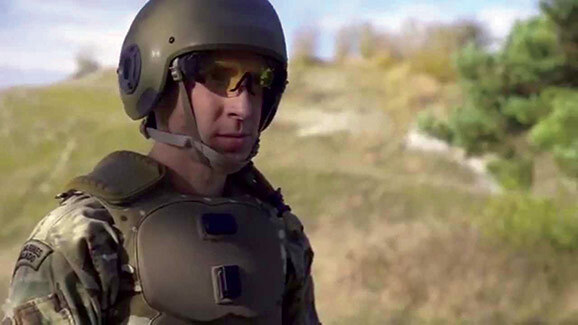 The unveiling showed what a soldier could be wearing and using on the battlefield in the 2020s, based on current military research and emerging commercial technology. 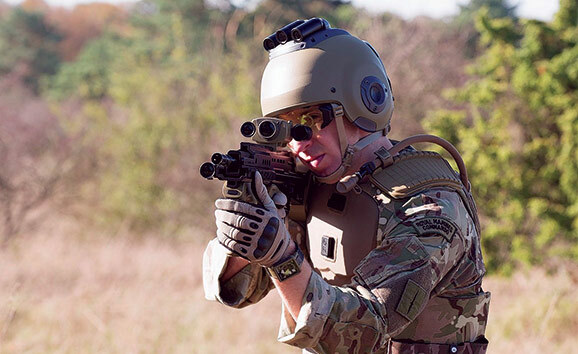 The first phase of the concept has been developed by the Defence Science and Technology Laboratory (Dstl) with industry partners Kinneir Dufort and SEA Ltd with the British Army. It was on display at the Future Soldier Showcase at DSEI, in the Land Zone. Head sub-system concept incorporating hearing protection, lightweight sensors for information sharing and an integrated power supply. Torso sub-system concept of segmented armour that can be customised to the user or situation with integrated connectors and power supply. 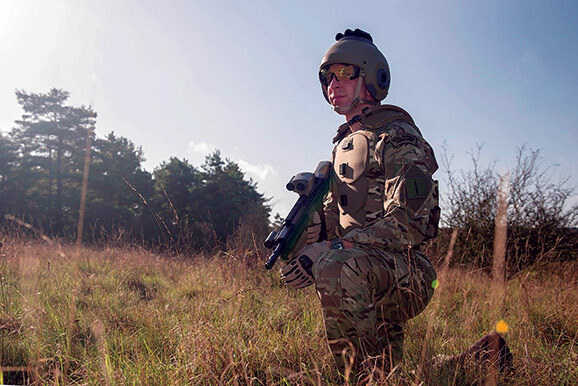 It also features a quick release cord which releases armour at the shoulders in an emergency and flexible shoulder pads for added protection and to help with weight distribution when carrying loads. Smart watch style wearable communications concept which incorporates sensors to record the user’s biometric data. Smart glasses concept which include a heads-up display, integrated camera and bone conducting headphones to increase situational awareness without compromising hearing. A robust personal role computer concept enabling better information sharing and communications between personnel. Ergonomically designed and customisable the weapon concept will allow targeting information to be shared between soldiers and their units. The Future Soldier Vision is designed to work as an integrated system with survivability, enhanced situational awareness and network capability all central to the concept. Protection technology, a network of sensors for information sharing and power and data connectors will also all be built-in.